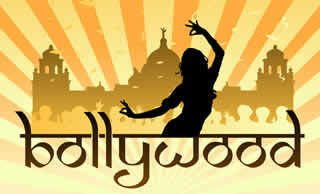 Bollywood is famous for its colors, singing, dancing, emotions, feelings, etc. Bollywood is the popular name for the Indian Film Industry. The thing that Bollywood is famous for is all about its “Indian touch”, i.e. its drama, emotions, comedy, feelings, singing, and dancing. Bollywood is not only famous for its colors, but also because of the culture present in the movies. The people of any culture have their own habits, feelings, accents, and they love to watch and feel the same thing in the movies too. Punjabi, Gujarati, South Indians, Bengali and many other cultures are followed by Bollywood. The directors of the Bollywood industry go to their cities and explore each and everything in such a way that the same feel, costume, color, background, and role of characters are adopted in the movie. Bollywood is basically famous for its originality. People look forward to new movie releases to get to know more about society. In the old times, Bollywood was famous for its tradition. The traditional dresses and festivals played the most important role in the movies. Female actors were supposed to wear sarees or salwar-kameez, while male actors wore suits or dhoti-kurtas (as per the roles). As the generation changes, the demands also change. Bollywood started producing movies according to the new generation. Bollywood is also famous because of its actors. Bollywood films are primarily known for the inclusion of singing and dancing numbers, not unlike the western musicals. Bollywood also has a more serious artistic side, where filmmakers focus more on the art of telling a story visually. However, Bollywood is more famous for (at times over the top) romantic, action and/or comedic musicals. Bollywood movies are widely famous. As due to globalization, many Indian audiences are now being exposed to international films, while Bollywood has been getting unprecedented recognition on a global platform.